In such a globalized world, where markets are increasingly competitive, and commercial “giants” are increasingly powerful. Succeeding is a real challenge for small businesses. The fact that it is complex does not mean that it is impossible. There are different ways to push a small business to the right place so that it starts to grow and increase its positive numbers. To achieve an increase in popularity among its customers, small business needs, among many things, to maintain good financial management that is useful to make the most of all its resources. Even if your company does not yet have a great reach in the market, you must manage your finances as if it is an international business. We do not try to advise you to spend too much, but to administer your money rigorously. This will help you to always keep in mind that you must use your resources with great care and discipline. Create a biweekly, monthly and annual budget for the expenses of your company. Deal in equal amounts, and organize every penny. For the same reason that the scope of your business has not yet grown too much, it will be quite common for you to mix your personal finances with those of your business. Do not do it. To avoid confusion and financial problems, be sure to treat both parties as two separate entities from each other. For those expenses of your company, you should process a special credit card. A personal credit card may not be very useful, since its functions are not the same, and does not include the same expenses or credits as a purely business card. All production involves a series of expenses that can be very significant for the company. Please look for alternatives to improve your processes and make them cheaper. For example, the installation of a solar panel. It may, in the beginning, involve a great expense. However, the positive difference that will impact the finances of your business will be noticeable in the long term. 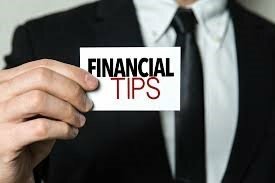 Now that you have read all these tips, you will be able to build a solid foundation to manage and take advantage of the finances of your small business optimally. Remember to be patient, and if you still do not see the results in the growth of it, try new things! Maybe, what you do is not the problem; but how you do it.